Foreign automakers have been preparing for the threat of potential tariffs, which could impact their profits in the US. 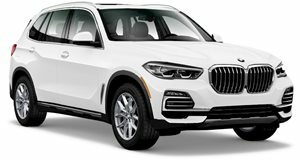 BMW seems like it would be in a great position to avoid these tariffs because it builds and exports SUVs from its US plant in Spartanburg, South Carolina but the German automaker still relies on imported parts such as transmission. 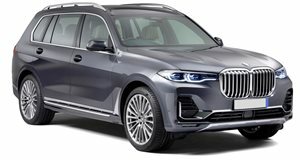 Less than a month after rumors emerged that BMW and ZF had a plan to source ZR gearboxes from the US, the two companies have announced a record-breaking order for transmissions. ZF says BMW's order for its advanced eight-speed automatic transmission is worth a "two-digit billion Euro value, meaning it is at least 10 billion euros. ZF's eight-speed automatic transmission has been in production since 2009 and has recently been improved by integrating an electric drive with a hybrid variant, which will likely be used on the upcoming X3 and X5 plug-in hybrid models. The deal is set to run over the next several years, with a new generation entering production in 2022 at ZF’s plant in Saarbrücken and the US and China in the future. ZF already has a plant in South Carolina that is less than 30 miles away from BMW's facility, so this could be the perfect facility to supply transmissions in the US. "This business win is the largest single order in the history of ZF," said ZF’s CEO Wolf-Henning Scheider. "When it comes to the electrification of passenger cars, in addition to pure electric drives, it confirms our strategy to focus on plug-in hybrids as an every-day solution and to develop attractive products in these areas."